Waco Female College served as an influential institution of higher learning for women in the nineteenth century. 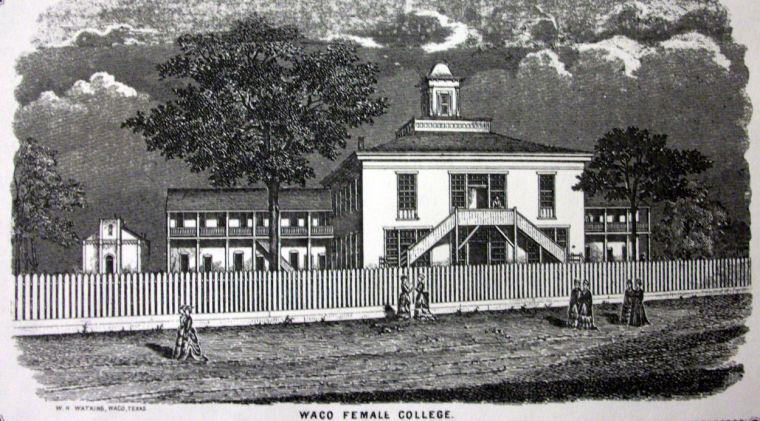 The consolidation of two other female educational institutions, Waco Female Seminary and Waco Female Academy, led to the formation of Waco Female College. Although the new school was chartered on February 11, 1860, through the auspices of the Methodist Episcopal Church South, it was operated as a nonsectarian institution. Several notable Methodist preachers, including Rev. Franklin Collett Wilkes and Rev. William McKendree Lambdin, served as the institution’s first presidents. Professor Ferdinand Plummer Maddin, McLennan County’s tax assessor and collector, was named the first permanent president in 1859, serving the school for ten years. Land surveyor George Erath had made provisions for female education in what was to become Waco when he first laid out the city’s original municipal plat in 1849. Between 1859 and 1860, the college erected a main building in a square bounded by Jackson and Webster Avenues and Second and Third Streets, a section of land which Erath had specifically designated for women’s education. The physical building grew along with the school, with the addition of a boarding department in 1872 and kindergarten and primary departments in 1883. Courses of study for students at Waco Female College included penmanship, rhetoric, trigonometry, “evidences of Christianity,” mental “phylosophy,” ancient and modern geography, map-drawing, English, American and world history, astronomy, geology, botany, physiology, and Latin. To earn a degree, a woman had to pass all courses, with the exception of being allowed to swap Latin for art, music, French, or German. Students paid twenty-five dollars in tuition per term, as well as seventy dollars for boarding and a diploma fee of five dollars, paid in advance of graduation. Hoping to expand the college, the school moved from its original downtown site to a 13.5-acre campus on the outskirts of Waco about 1892. 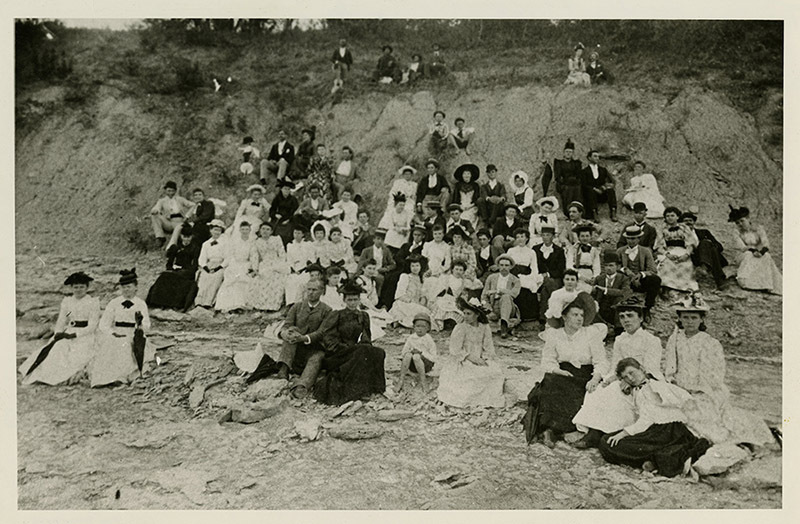 Enrollment rose significantly, from around 125 to over 200 students between 1883 and 1893. Despite this increase in attendance, the school soon ran into issues. The college closed in 1895 because of financial difficulties, likely caused by the debt of its expansion coupled with the economic panic of 1893. AddRan Christian University, forerunner of the school known today as Texas Christian University, purchased the foreclosed properties. 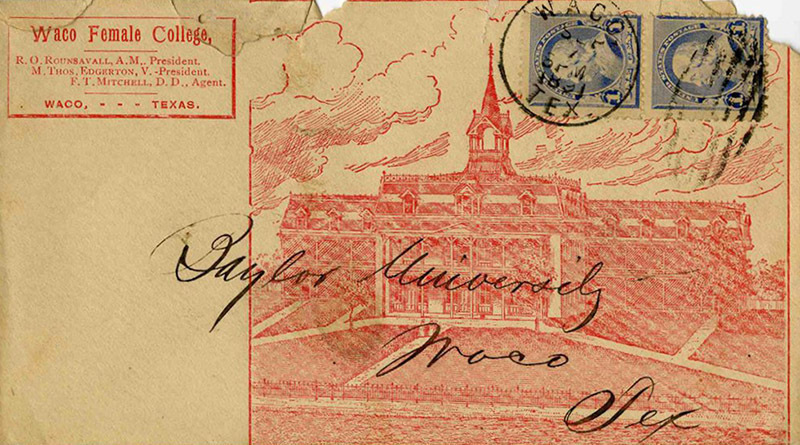 A devastating 1910 blaze forced TCU trustees to move the college to Fort Worth. Formed just four years after Waco Village incorporated as a town, Waco Female College stood as one of the most significant and influential efforts to provide education for women in the mid-nineteenth century. 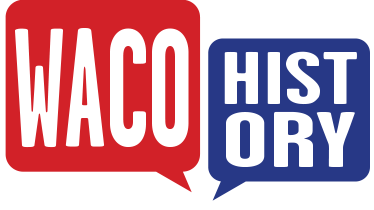 Terri Jo Ryan, “Waco Female College,” Waco History, accessed April 25, 2019, https://wacohistory.org/items/show/121. A version of this article originally appeared in the Waco Tribune-Herald. Ryan, Terri Jo. “Looking Back at Waco Female College During Women’s History Month.” Waco Tribune-Herald. March 15, 2014.